We are looking for a Non-consultant Hospital Doctor in General Medicine to start asap and work up to and including 3rd January 2019. Applications are invited from Registrars and experienced SHOs for appointment to the vacancy. 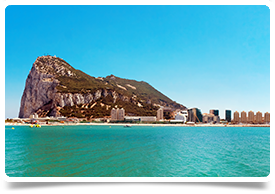 The Gibraltar Health Service is organised and modelled on UK NHS and follows traditions of British medical practice. It would be advantageous for applicants to be registered with the UK General Medical Council, with a licence to practice. Non-native English speakers must have a good command of English. The proposed hours of work associated with this locum post include Monday to Friday, from 09:00 to 17:00, together with resident on-call activity as Medical NCHD, equivalent in a 1:6 basis. The approximate rate of pay is £55 per hour and return flights from the UK will be reimbursed. Get in touch to discuss this further. Applicants for the above post must have a minimum of three years’ experience in acute general medicine and related medical sub-specialties. Candidates are expected to be competent in dealing with acute medical emergencies when on-call. Please get in touch with Allison on 0131 240 5287 or email allison@headmedical.com to discuss further.